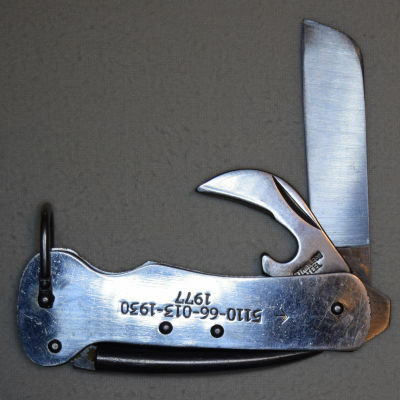 During the 1970's, Stanley Rogers supplied the Australian Military Forces with a 3 blade stainless steel clasp knife. This model knife was made in Japan. This knife has only been noted with the date 1977. A note for collectors: This knife is found most commonly with very weak springs. It would appear to be a production flaw.